What better way to see all the colorful leaves this fall than by two wheels? 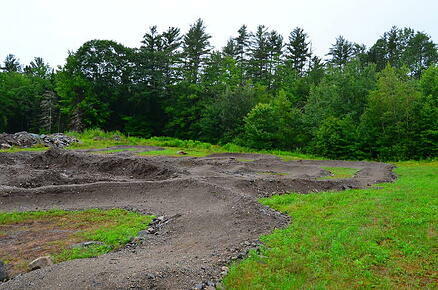 Littleton is one of the best places to mountain bike in New Hampshire. Nestled on the banks of the Ammonoosuc River, not far from Vermont, Littleton is the perfect place to base yourself for an epic weekend of mountain biking. With an abundance of nearby trails, you’ll quickly fall in love with this little town. You'll find hundreds of miles of mountain biking trails in and around Littleton. Here are a few of our favorite, but if you're still not sure, head over to Littleton Bike & Fitness for insider information from the experts. PRKR MTN Trails a 22-mile network on mountain bike trails just north of downtown Littleton. The trail system can be accessed from the Pine Hill Trail System on School Street. 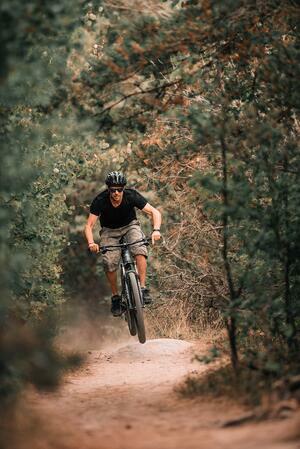 Standing at 1,905-feet, Parker Mountain is a beautiful place to ride your bike year-round. You’ll find trails ranging in difficulty from easy to advance and even some double track trails. Linda’s Lookout is a great place to stop and take in the autumn views of the region. During the winter months, many of the trails are groomed so you can continue riding even after the first snowflakes. The Franconia Recreational Trail that winds through Franconia Notch State Park is a 20-mile paved trail that offers scenic views of the notch and is beginner-friendly for all types of bicycles. Fox Park Trails near the town of Franconia is a 99 acres park with lots of great mountain biking trails, like Tucker’s Trail. 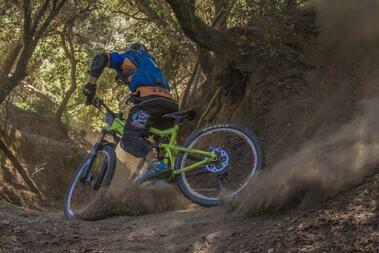 While most the trails can be ridden by beginners, they may be a bit daunting for a true beginner. If you’re coming from the south or just don’t mind driving, Highland Mountain in Tilton is one of New Hampshire’s best downhill mountain biking destinations. Highland Mountain offers about 600 vertical feet and 15 miles of trails from beginner to advanced riders. Choose from lift or no-lift passes and ride until the sun goes down. The trails are well maintained and marked, and there are always first aid responders on site. There’s a rental shop, lessons, and even skills & jump park zone to learn new skills. Ranked as one of the top mountain biking parks in the northeast, Kingdom Trails is just a short drive from Littleton in East Burke, Vermont. Open seasonally from May through October; Kingdom Trails has a network of 85 trails covering almost 70 miles. Trails range in difficulty from easy to expert only with most of the trails falling in the intermediate to expert level. There’re always special events happening at the park so check out the calendar of events for the latest. After a long day of riding, grab a drink at the Tiki Bar! There are lots of places to stay in Littleton depending on your budget and style. 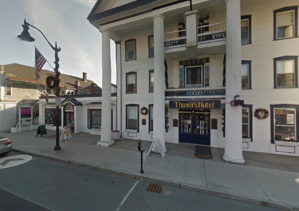 The historic Thayer’s Inn is a longtime favorite located right on Main Street. Dating back to the 1850s, the hotel has hosted the likes of Ulysses S. Grant, Jimmy Carter, General George B. McClellan, and more. Down the road further, you’ll find the quaint Maple Leaf Motel with rooms complete with a refrigerator or even full kitchen. The Beal House Inn is a small inn with six different rooms ranging from standard to suites with all the modern amenities you need for a pleasant stay with a wonderful restaurant on site. After a long day of riding the trails, you’ll need to refuel your muscles for the next day. Littleton is home to some delicious restaurants that will leave both your tummy and muscles happy. Chang Thai Café on Main Street is traditional Thai food with a delicious modern twist. Chef Emshika uses only the freshest local ingredients to create colorful and healthy dishes. The Littleton Diner is always a good choice. This local favorite is open for breakfast, lunch, and dinner. If you need to fuel up for your afternoon ride, order the waffles. You won’t be disappointed. 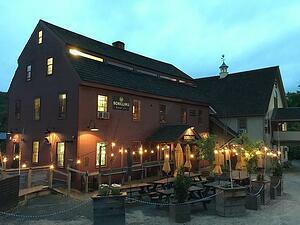 Relax with a cold one at Schilling Beer Co. in the historic 18th-century grist mill on the Ammonoosuc River. Pair it with one of their famous wood-fired gourmet pizzas. Want to talk shop or need last-minute supplies for your trip? Head to Littleton Bike & Fitness for all your bicycle needs. Pick up maps, rent a bike, or just shop, Little Bike & Fitness is the place to be. Owner Dave Harkless and his staff of bike lovers will not only help you shop but tell you all the best trails in town. The leaves might be turning, and the air is getting colder, but there is still tons of time left to hit the mountain bike trails. Make sure you head to Littleton and New Hampshire’s North Country for your next adventure. Would you like to keep seeing information about Littleton and the White Mountains? Subscribe to our email newsletter for new blogs, regional updates, and more!